The warm glow of a scented candle is an affordable little luxury I enjoy. A lit beeswax, fruity or floral candle set on the dining table sends fragrance to most of our first floor living area. 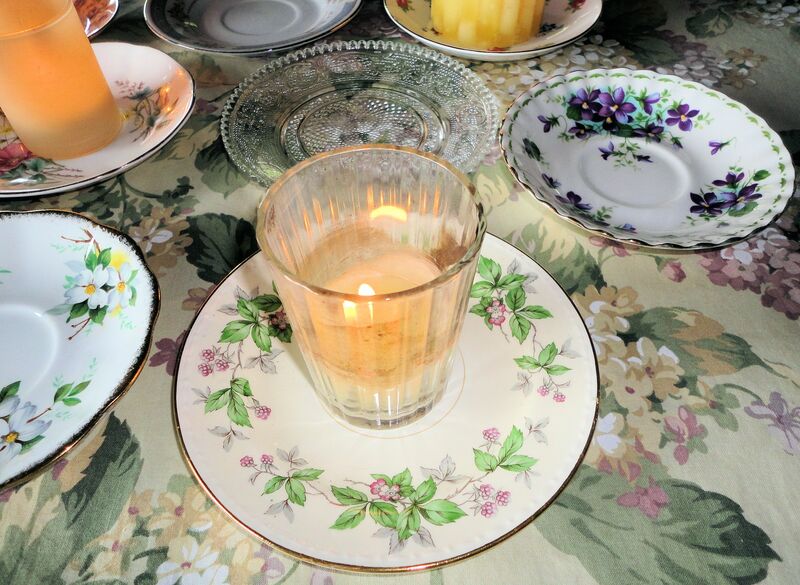 I found a very attractive and inexpensive method for protecting the surface of the table from candle heat: old cup saucers. At thrift stores, saucers without cups can be had for fifty cents or less. Odd vintage saucers by famous and expensive manufacturers in lovely patterns are usually available. The cup breaks, but the saucer is too pretty to throw away so it ends up as a donation to the thrift store. I’ve acquired several saucers in patterns to coordinate with many seasons and color schemes. Makers I’ve collected include Royal Albert (producers of beautiful floral patterns,) Meakin, Staffordshire, Homer Laughlin, and Consort. The English china is particularly nice. 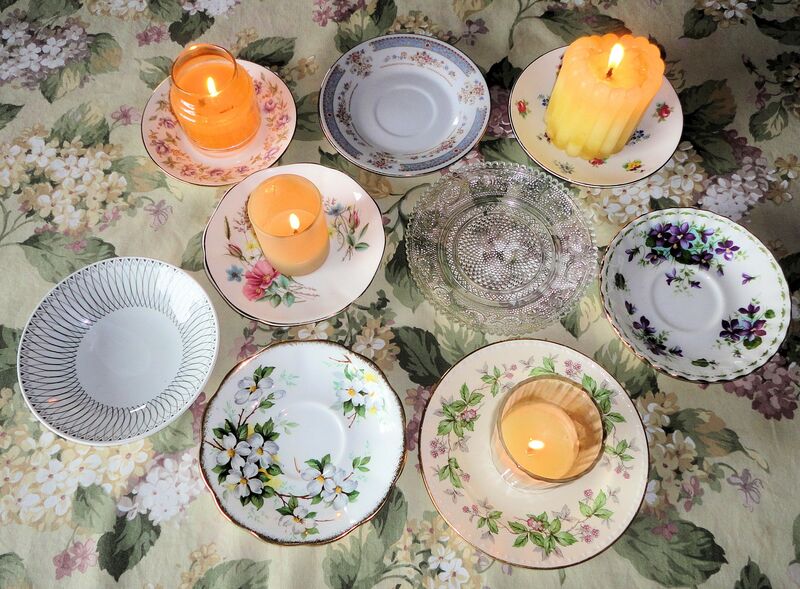 Saucers have an indented area in the center that will perfectly accommodate a pillar candle or votive holder. Most are also cupped to some degree and will prevent wax from escaping. Currently, I’m displaying the White Dogwood saucer by Royal Albert, perfect for spring.